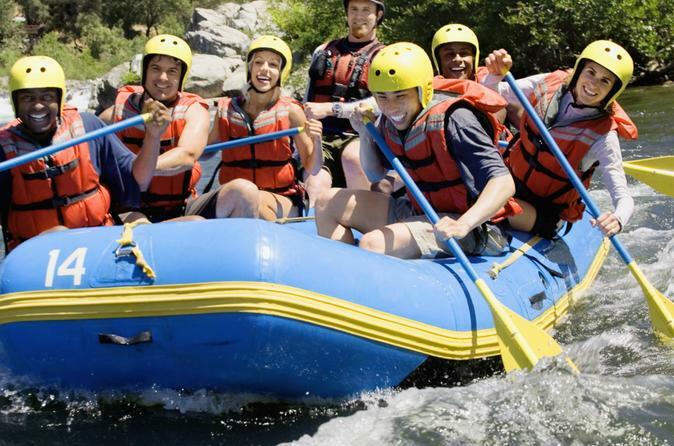 Paddle through Class II and III rapids on this rafting tour down the Río Chimehuín in Argentina. On this 6-hour trip, follow a guide down the moderate yet exciting rapids that flow through the Andean forests. Before rafting, glimpse the ice-capped Lanín Volcano and stop at a beautiful glacial lake in Lanín National Park during a scenic drive. Numbers are limited to 12 on this small-group tour ensuring a more memorable experience. As a bonus, hotel transport from San Martin de los Andes is also included. 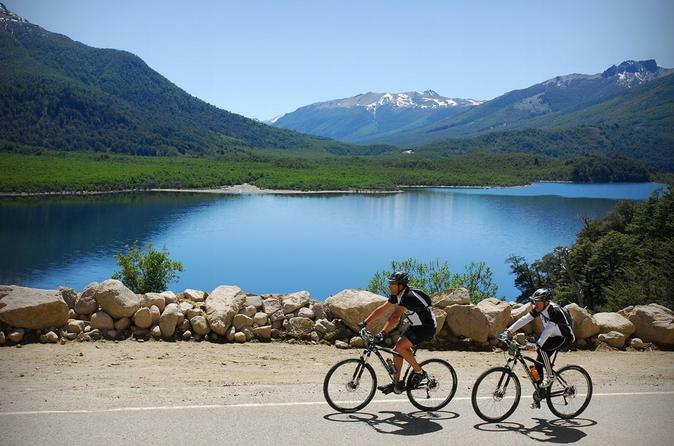 Cycle through the wild landscapes of the Argentine Patagonia on this half-day mountain bike tour of low-level difficulty. Depending on the weather, ride around Cerro Chapelco to see Lanín Volcano breaking through the hazy Andes mountain range horizon or, pedal through the forests of Lanín National Park near the Piedra de Trompul formation. Before returning to San Martin de los Andes, take in showstopping views of Lake Lácar. Enjoy personalized attention and informative commentary on this small-group tour, limited to just 12 people. Experience the awe and majesty of Argentina’s Lanín volcano on this full-day guided hiking tour, departing from San Martin de los Andes. An experienced guide leads you up this geologic wonder and informs you about the volcanic region along the ascent. At the top, you’re rewarded with unrivaled views of other mountains, valleys and volcanoes in the Neuquén province that extend for miles across the horizon. Nature and adventure buffs won’t want to miss this small-group tour, limited to 12 people. Journey into dense forests in Lanín National Park on a pleasant horseback ride during this half-day excursion, just outside of San Martin de los Andes. You'll gain insight into the Mapuche settlement of Quila Quina Village from a guide who’s from this indigenous community. Your trusty steed clops along at a steady pace, suitable for both first-time and experienced riders. Along the way, snap pictures of the Andes mountains, Lago Lácar and Lanín Volcano. Numbers are limited to 12 people on this small-group tour. Soak up panoramas of glassy lakes and snowcapped peaks from the top of Cerro Falkner in the Neuquén province of Argentina, on this full-day guided hiking tour. After hotel pickup in San Martín de los Andes, an experienced guide takes you on a moderate hike up the 7,709-foot (2,350-meter) mountain. 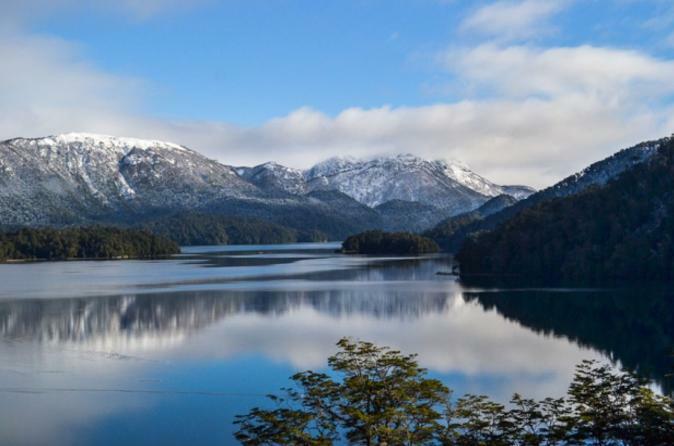 Travel to and back from Cerro Falkner along the famous Seven Lakes Road linking Lanín National Park to Nahuel Huapi National Park. Numbers are limited to 12 on this small-group tour for a memorable experience. 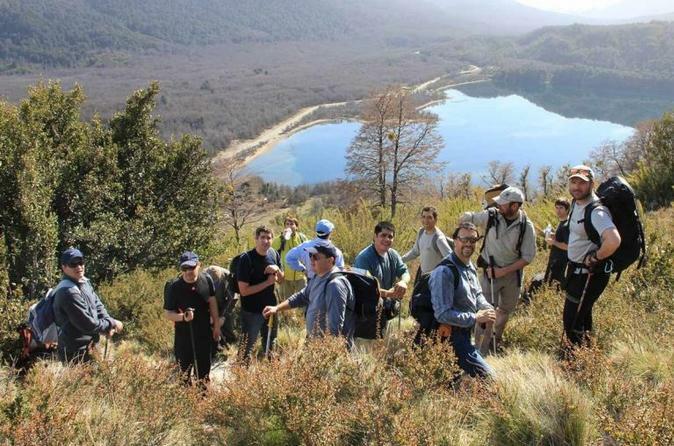 See stunning views from the top of Cerro Colorado, an extinct volcano in the Neuquen province of Argentina, on this full-day guided trekking tour. After hotel pickup in San Martin de los Andes, an experienced guide takes you on a moderate hike up the 5,833-foot (1,778-meter) mountain, showing you local plants and geological formations along the ascent. When you reach the summit, you’ll enjoy some of the best views of the region. Numbers are limited to 12 on this small-group tour for a personalized experience. 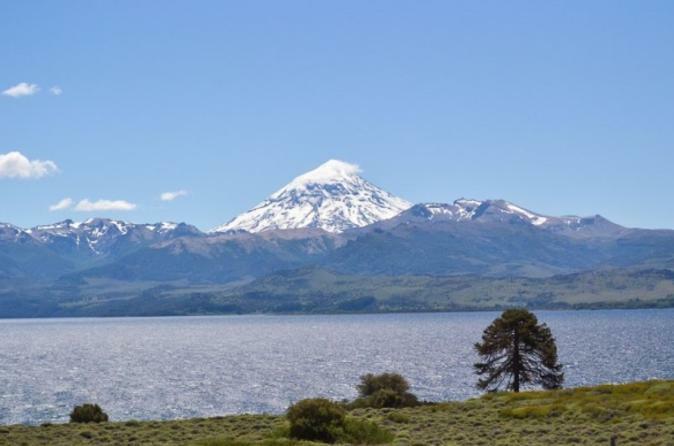 Experience some of Argentina’s most stunning natural landscapes, including Lake Huechulafquen and Lanín Volcano, on this day trip from San Martin de los Andes. Located at the northern end of Patagonia, the region is brimming with geologic wonders. Your knowledgeable guide also informs you about the indigenous Mapuche, with stops at local community churches. Pickup and drop-off at your central hotel ensures an easy day of exploration. Numbers are limited to 12 on this small-group tour for a personalized experience. 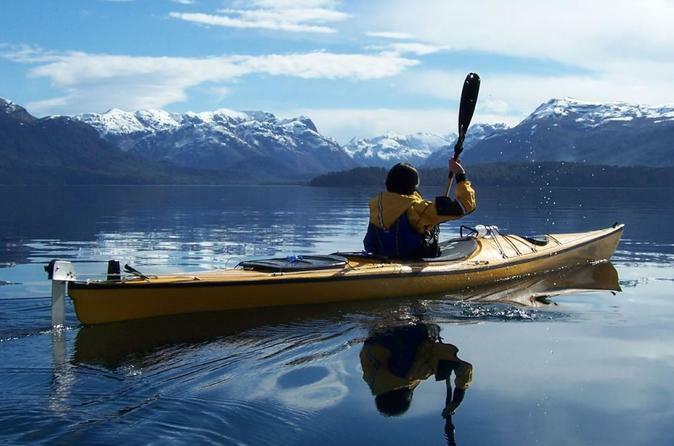 Lago Lácar (Lácar Lake), of glacial origin and surrounded by the striking Andes Mountains, is an ideal spot for kayaking. During this small-group excursion from the town of San Martin de los Andes, a professional guide teaches you proper kayaking and safety techniques before you set out for 3.5 hours. Paddle to the rocky shore of La Islita (the Little Island) and immerse yourself in the Andes' tranquil natural surroundings. Numbers are limited to four on this half-day tour for a personalized experience. 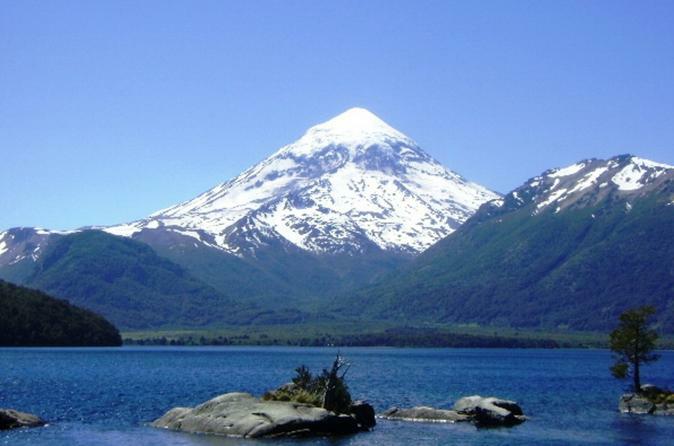 Take in the dramatic natural beauty of the Argentine Patagonia on this 4-hour tour by minivan. 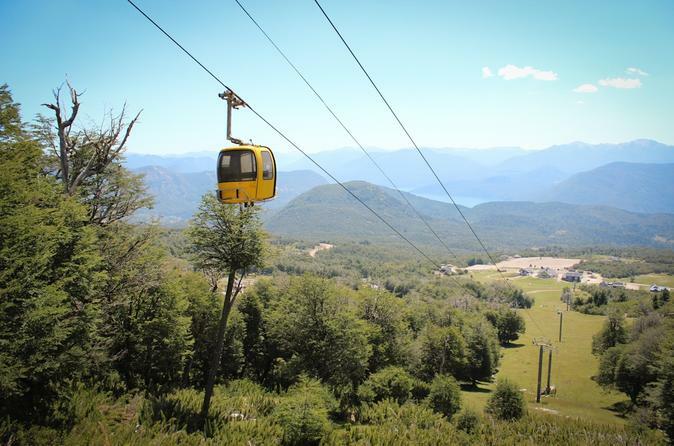 Starting from San Martin de los Andes, travel along the sparkling blue Lago Lácar on the way to Chapelco Hill, a world-class ski resort, and enjoy free time to explore artisanal shops and see the sights. 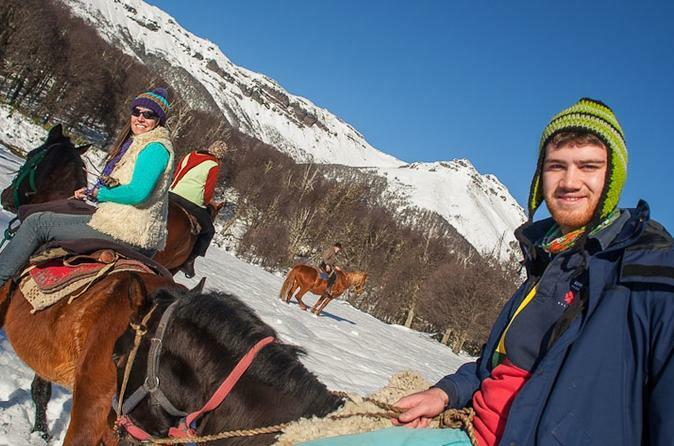 Capture sweeping panoramas of the Andes mountain rage and learn from a knowledgeable guide about the Mapuche communities you pass through along the way. Bonus: This small-group tour limited to 12 people comes with hotel transport. Travel the Road of the Seven Lakes on a full-day journey through some of Argentina’s most breathtaking scenery. You’ll depart by minivan from your San Martin de los Andes hotel, driving past beautiful lakes, rivers and waterfalls. 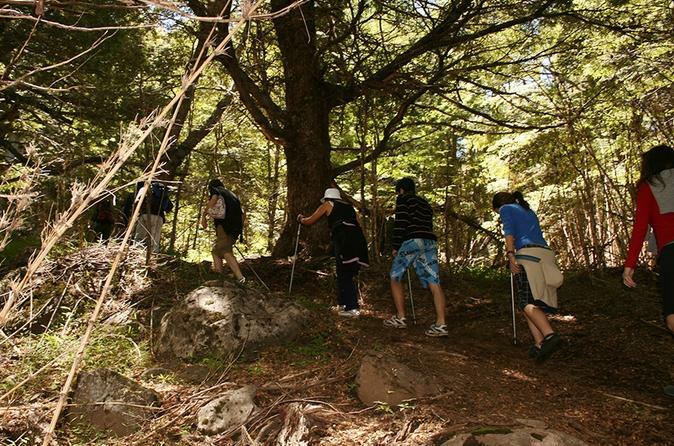 A guide takes you through ancient forests and Lanín National Park, and introduces you to the indigenous Mapuche. 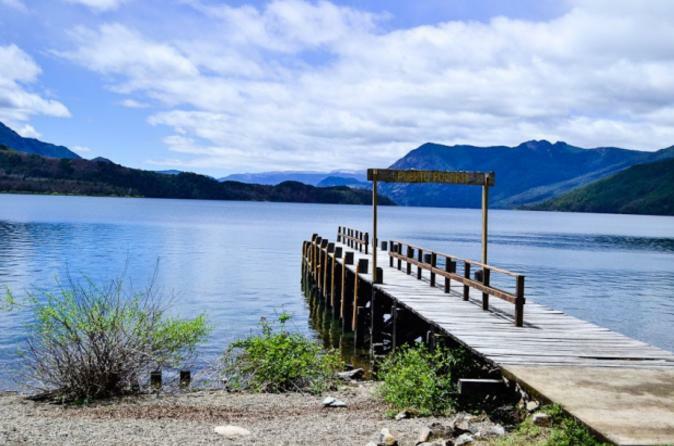 Enjoy free time to explore and purchase lunch (own expense) in the quaint town of Villa La Angostura, which serves as your turnaround point on this small-group tour, limited to 12 people. From San Martin de los Andes, discover the wonders of the Argentine Patagonia as you make your way west to the border with Chile. On this 5-hour tour by minivan, traverse the tree-less plain of Pampa de Trompul and learn about its indigenous Mapuche culture. An easy hike leads you to Lake Lácar’s Yuco beach, whose name means ‘a place away from everything,’ and the thundering Chachin Waterfall. Enjoy unbeatable views of Lake Nonghué from the settlement of Hua Hum, before reaching the Christ of Peace statue at the border.